This is the third of five companion pages on Journal Jumpstarts. If you haven't had a chance to see the first page, it's located here. As I mentioned before, whether it's riding a skateboard, playing the piano, or shooting arrows at a target--the more we do it, the better we get at it. 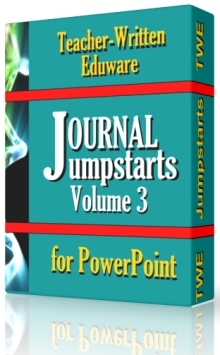 What follows on this page is an introduction to a product called Journal Jumpstarts, Volume 3. It offers writing prompts 41-60 that are already available free of charge on the Journal Writing Promptspage. 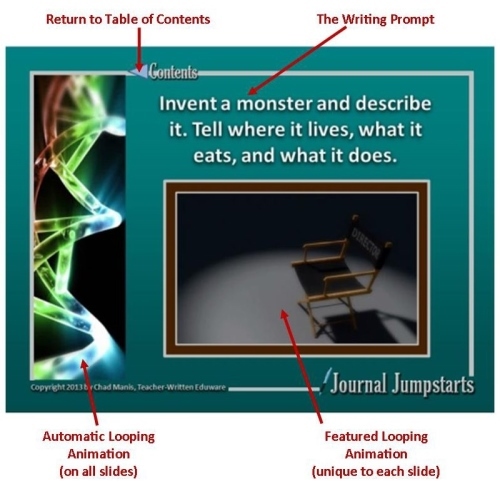 Rather than a simple listing of prompts, Journal Jumpstarts Volume 3 is a complete PowerPoint package designed to intrigue and to motivate students to exercise their writing muscles--and in the process, to get that much-needed practice. Journal Jumpstarts Volume 3 also saves you the time and effort of scrawling out the writing prompt of the day on your whiteboard. 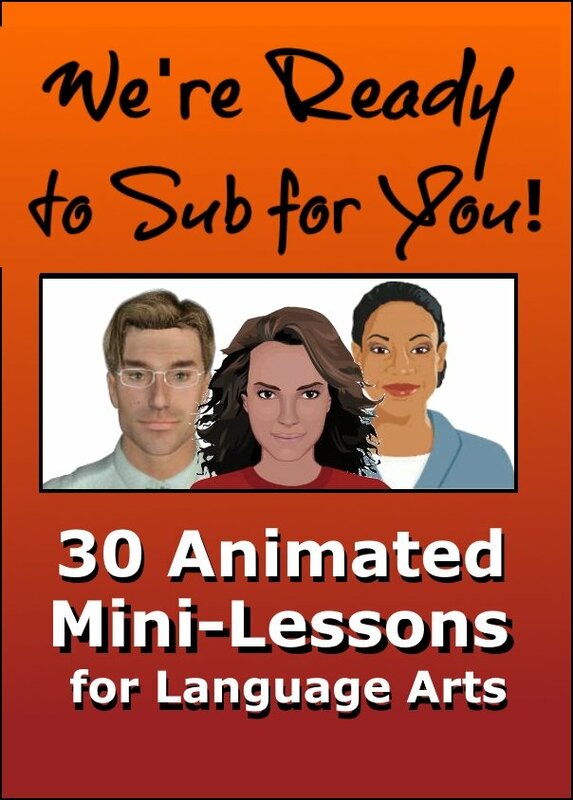 The video capture below shows all five slides available in Jumpstarts, Volume 3, Free Version. This preview is not NEARLY as smooth as the finished version, but it will give you some idea of what to expect. 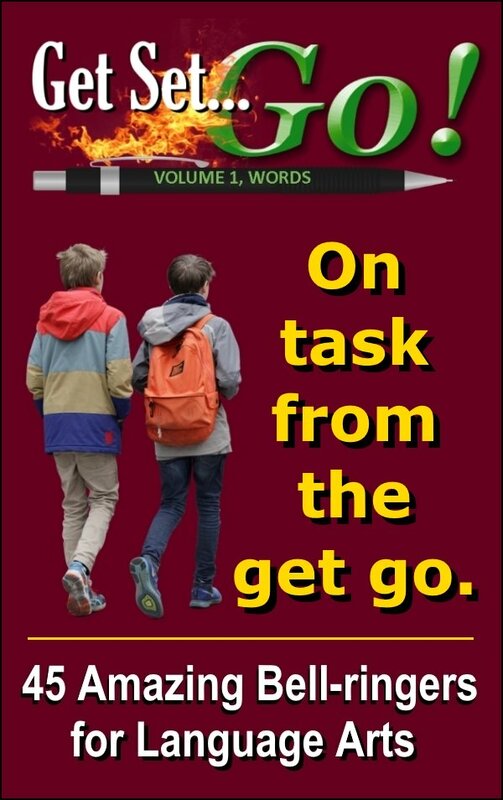 In short, Journal Jumpstarts, Volume 3, provides an intriguing visual way to engage student interest and to invite them to embark upon a journey of self discovery, while honing their writing skills in the process. 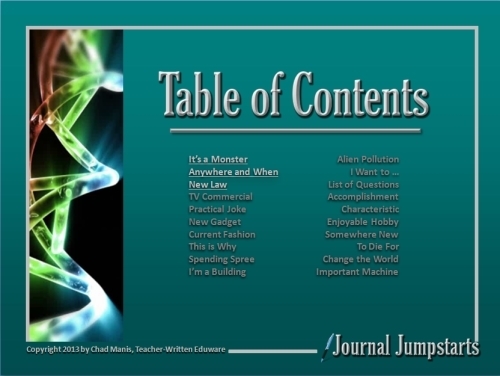 ALL of the writing prompts included in Journal Jumpstarts, Volume 3, ARE available on the Journal Writing Prompts page, completely free of charge. 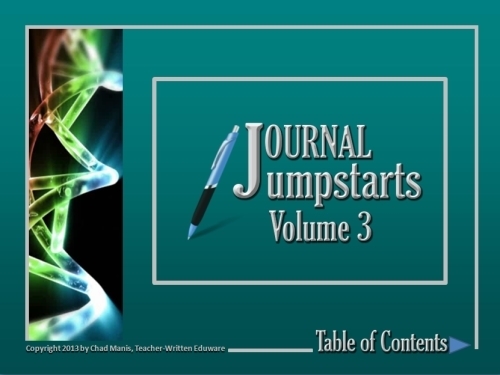 Rather than the simple listing of prompts that you will find on that page, Journal Jumpstarts Volume 3 takes the student's end-user experience to another level.